If your business sells products or services to other businesses where you allow them to pay you on credit (net 30, 60, or 90 days), this article will help you manage the risk of a client not paying you. A financial risk all businesses face when selling their products or services to other businesses on credit is that there is always the chance the client won’t pay their invoice when it comes due. When this happens, it hurts your cash flow and can lead to financial problems for your business, especially if you had to take out a loan to finance the production of the goods you sold to another business on credit. When a client does not pay you, not only do you not have the money your client was supposed to pay you, but you also have the debt you had to take on to produce the goods you sold to the client. One way to help control this financial risk, especially when doing business with new clients where you do not have a history of them paying you on time, is to have the owner of the company you are going to sell your goods to sign a Personal Guaranty Form. A Personal Guaranty Form is a promise made by an individual guarantor to repay the debt a business owes to another business when buying their products in the event the business purchasing the good becomes unable to pay its debt. A Personal Guaranty Form is the legal document on which the Personal Guaranty is signed. Through a Personal Guaranty, you get the assurance that you will be paid for the goods or services you sell to a business in the event that business has financial problems and can’t pay you. To ensure the effectiveness of a Personal Guaranty, it is vital that the Personal Guaranty Form is accurately completed and signed. 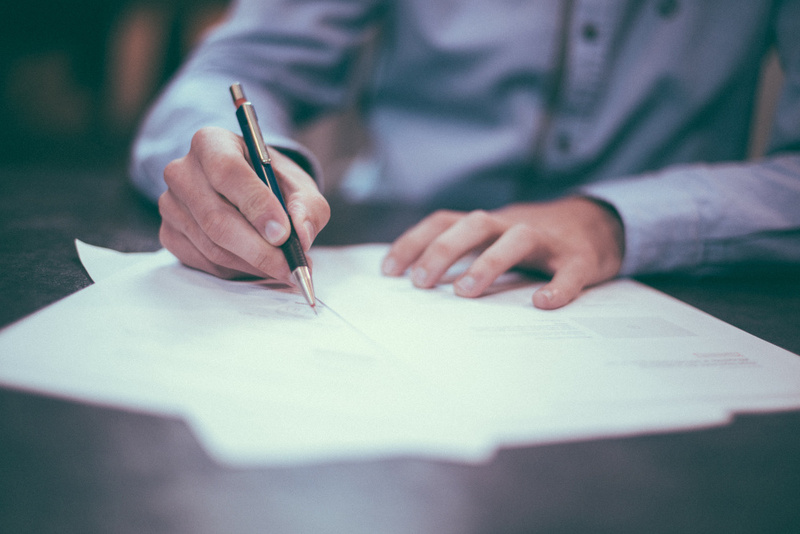 To ensure accuracy when completing the Personal Guaranty Form, you can use a number of standard formats that provide the guidelines for what information is required for the form to be legally valid. Personal Guaranty Templates can be downloaded at https://www.tidyform.com/personal-guarantee-form.html. The roles of the parties involved in the Personal Guaranty agreement should also be well-defined. How you define your role and that of the guarantor will determine if the agreement becomes absolute or conditional. An absolute personal guaranty agreement dictates that the guarantor assumes the obligation of repaying the debt of the company if the company cannot pay, for any reason. On the other hand, a conditional agreement will dictate that the liability of the guarantor to repay the debt the business owes you is dependent on a particular event, in addition to the business’ default (https://www.rocketlawyer.com/document/guaranty-agreement.rl#/). Most businesses become incorporated so they are independent entities, and the owner of the business cannot be held personally responsible for the business’s debts or legal problems. Business owners always want to separate themselves from their business for legal and financial protection. Therefore, getting the owner or CEO of a business to complete and sign a Personal Guaranty Form is not easy. For this reason, you will need to use a few strategies that will ensure the CEO or owner (the guarantor) of the business completes and signs the form. First, help the guarantor understand what they are signing and why they are signing it. Be straightforward with the guarantor. Let them know how the Personal Guaranty will affect the listed collateral even if their business is incorporated. This is critical to ensuring the guarantor knows the consequences if their business fails to pay you. Let them know that by doing business with them when you have no financial history of selling to their business and receiving payment, you are taking a large financial risk by selling to them on credit, and if their business is unable to pay the debt they owe you, it will create financial hardship for you and your business, and that is a risk you are not willing to take. Second, allow the guarantor to include other partners in the agreement. In this case, they will sign a joint personal guaranty form. This will help the guarantor to feel at ease signing the agreement because the risk will be spread among the partners, even if not evenly. Third, discuss with the guarantor the risk level you find acceptable. Talk with the guarantor about the assets you feel will fulfill the Personal Guaranty. It is important to consider the guarantor’s say about the risk level they are comfortable with. This way, the sense of involvement will make it easier for the guarantor to complete and sign the agreement. Fourth, you may need to include some terms of relief for the guarantor. Create allowance for relieving the guarantor off the personal guaranty or have it reduced after they have paid you a certain percentage of the debt. The guarantor will be assured that he will not be risking all the listed assets. Finally, allow for negotiations on the terms of the agreement. Make room for your concerns and those of the guarantor. Ensure the guarantor feels that their concerns have been acknowledged in the agreement. That way, the guarantor will more easily agree to complete and sign the Personal Guaranty Form. Do you have a business client that is more than 90 days late paying you? If YES, we can collect the money that is owed to you. Melton Norcross and Associates is a professional commercial debt collection agency located in Frisco, TX. We specialize in helping businesses collect past due receivables. Call or email us for a free consultation and a free price quote.